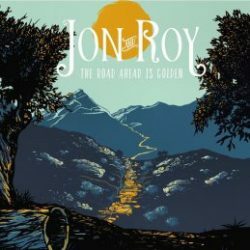 Jon and Roy is perhaps the most understated name for a duo or a band: it suggests modesty and a certain lack of pretension. And that’s exactly what they deliver, simple songs performed simply with a minimum of fuss decoration or development. The vocals are like a comfortable soft cotton shirt, the melodies are clear and easy to pick, there’s a definite skill about the writing and performances, and they make a (and I’m going to use the word again) modest version of Americana. It is intimate and open, the songs are easy to get, they are inclusive and inviting. Each of the tracks has something to recommend it. Clever One, is a gentle song, a simple guitar line with a few bars of electric piano, Runner uses electric guitar and simple percussion, and given that Jon and Roy are a guitarist and a drummer, it’s not surprising that these two instruments play a central role. There’s much to admire about their almost austere version of Americana but it also holds them back a little, though they do have help from a bassist and keyboards – a lot of the songs sound like sketches that are waiting to be fleshed out Window sounds like a rough demo; there’s nothing wrong with that per se but these songs invite you to imagine what they would sound like with a full band sound and my guess is they would have a great deal more power and impact. The instrumental Silent Lou somehow invokes the brimstone of the Meatpuppets but its restraint pushes it more towards MOR. It’s a record that I like; these Canadians know what they are doing, the songs are full of subtle pleasures, they are personable and warm. They just lack a real impact, the hooks are there. The Better Life (which sounds rather like Red Star Belgrade – the band) is where they perhaps bristle the most – it’s one for late nights and quiet afternoons.